Artemis. Ancient goddess of the hunt and wilderness. Sculptures often depict her standing next to a doe, with her bow's arrow aimed at an invisible intruder. 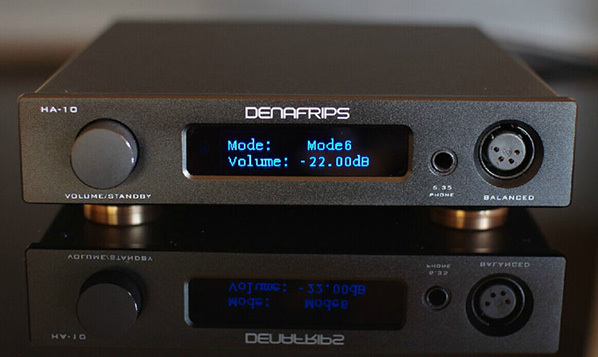 By naming their new headphone amp Artemis, Denafrips would seem to protect their turf and aim high and far? Whilst initially making their global mark with a quad of very well-reviewed discrete R2R DACs with DSD ability and I²S-over-HDMI input, they followed up earlier this year with the Hestia/Hyperion pre/power combo to expand their reputation beyond digital. And lest you think that this would now make for their first headfi rodeo, five years ago they already had the HA-10 2014 then the HA-10.2 with display for their domestic market. Denafrips are far from new to the genre. With Artemis, the concept of a fully balanced flagship machine to drive one and all has now materialized. As such, only one of its four inputs is on RCA. 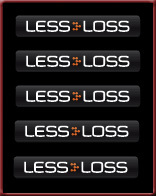 The other three are XLR. So are the twinned XLR3 and single XLR4 inputs on the front. Against them, the standard 6.3mm is in the distinct minority. But if ye be true balanced, that's the right and only way to go. Fit for universal purpose, Artemis packs a solid 4-watt wallop into 32Ω. She still does 3.28w into 50Ω, 0.8w into 300Ω and half this into twice that. The circuit inside is pure class A with an "ultra-low noise fast recovery linear power supply", sizable donut trafo and low-ESR capacitive bank. Custom heat sinks are oversized for effective dissipation. Input impedance is 14kΩ/66kΩ on RCA/XLR respectively. 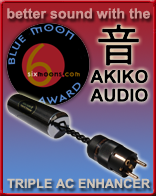 Output impedance is 10Ω, bandwidth 10Hz-80kHz -1.1dB, S/NR (A-weighted) 121dB. Despite the non-switching supply, global voltage happiness is assured by auto-switching sensor like Bakoon do it. This covers 110-240VAC at 50/60Hz, thus all eventualities for the frequent flyer's club. If you move country, Artemis will move with you, no factory visit required to rewire her transformer. Volume control is by 24-step alloy-shielded 4-gang attenuator. It maintains unbroken balanced operation front to back. It's a detail many so-called balanced decks conveniently overlook. Size is 32x33x7cm WxDxH. That duplicates the foot prints of their Pontus and Venus converters to make for seamless stacking as shown. Weight comes to 8kg. The finish is black or silver, warranty 3 years regardless. Armed with prior evidence here and everywhere else, including awards and enthusiastic owner feedback on the Denafrips forum which often chronicles displaced competitors, Artemis once again has us expect top build and organically warm sonics. Cue moaning by a certain US/EU contingent. They are only happy with inferior Asian imports which are easy to dismiss. 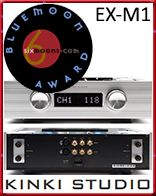 But brands like Denafrips, Kinki Studio, Jay's Audio and PrimaLuna compete fair and square against the equivalent best of the West. Only ignorance and misplaced spite claims otherwise. 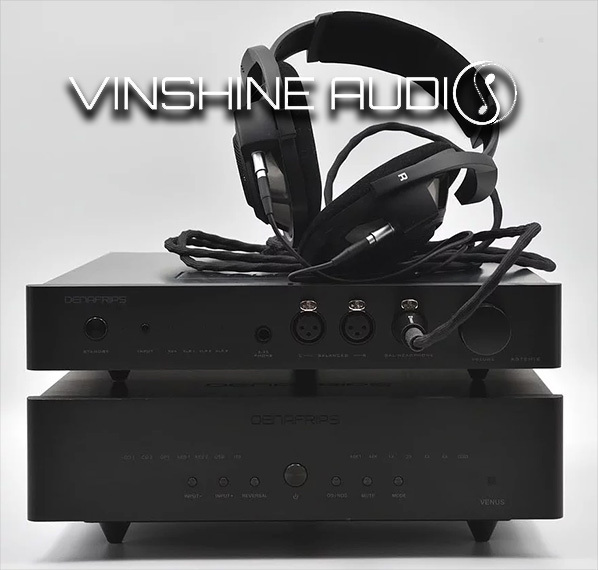 WIth Denafrips, Alvin Chee of Singapore-based Vinshine Audio also acts as their global reseller, giving non-Chinese customers fast response times in fluent English. 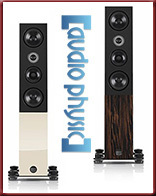 Alvin is like an Eastern brother to Hawaii-based e-tailer Walter Liedermann of Underwood Hifi. They seem to enjoy equal popularity with their clients for first-rate customer service and value-priced goods. Or as he put it, "Artemis is priced at S$2'898. It took a good long 18 months to design and was released in January this year domestically to first test the waters here. It's now final and ready to compete with the big EU/US giant players." That made it about a 1'000 less in EU currency just then.